Looking for a cool accessory to jazz up your lighting? 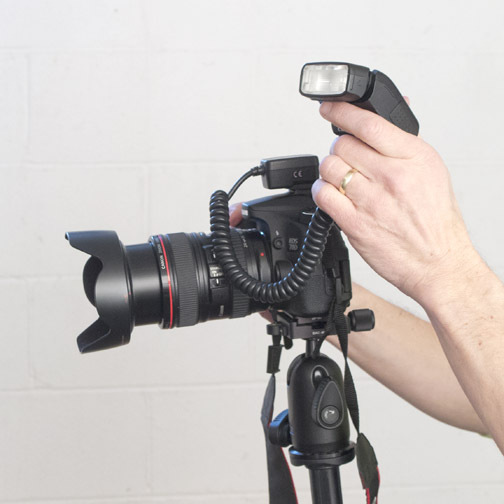 The Canon Off-camera Shoe Cord is a great accessory to use to eliminate red-eye and hot spots that can typically come with on-camera flash photography. It provides that necessary link between the camera's hot shoe and the flash bracket. 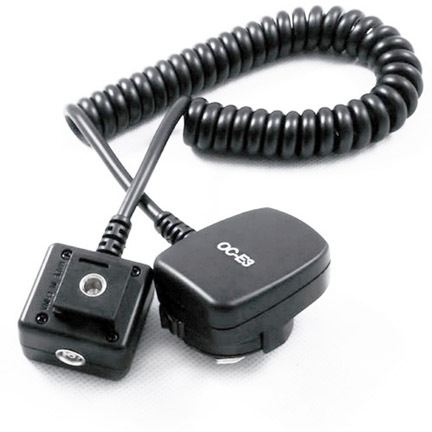 Using a cord also eliminates any potential misfires that can occasionally happen with radio or infrared remote flash triggers. I find that a cord like this is also very useful for macro photography with a speedlite. It allows you to use a long macro lens without getting any shadow. It is also good to use and be able to control the direction of your lighting by holding the flash above, below, behind , or to the side of your subject. The five pins on the base correspond to the 5 contacts on your speedlite for full flash functionality. I have used the Off-Camera Shoe Cord 2 on Stroboframe and JustRite brackets without any problems. It is made of plastic, so like all things made with materials like this, care should be taken in not overloading it or being to rough when you handle it. If you are just playing around with your lighting, go hand held like the photo shows on the right. You can alter the direction of the light very easily and quickly to get a wide variety of lighting effects. Be careful if you buy a 3rd party brand. There may be issues of compatibility. 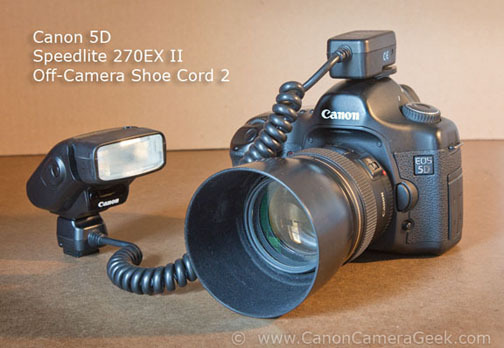 All EOS-compatible flashes and EOs cameras have full functionality when used with either one of the Canon shoe cords. 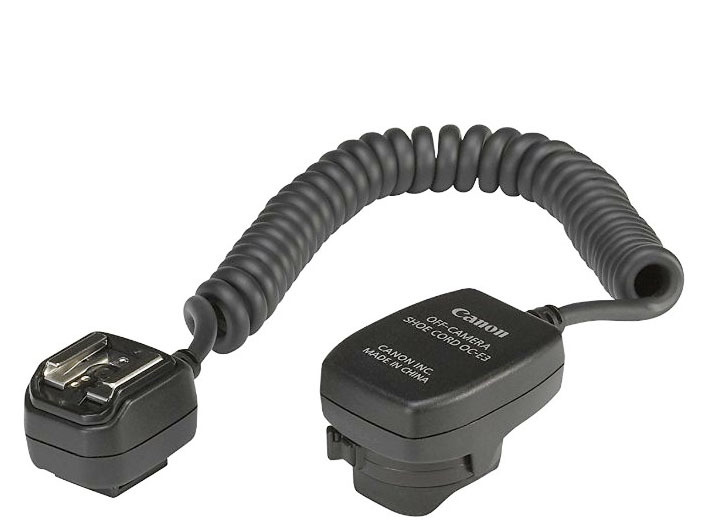 Canon upgraded the Off-Camera Shoe Cord 2 to the OC-E3. The OC-E3 weighs a little more because the base is slightly larger than the base on the Shoe Cord 2. The neewer OC-E3 has the same lever-locking design as the Canon Speedlite 580EX II. 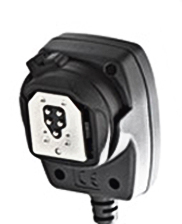 The OC-E3 has a metal plate on the bottom of the base instead of the plastic surface on the Shoe Cord 2. 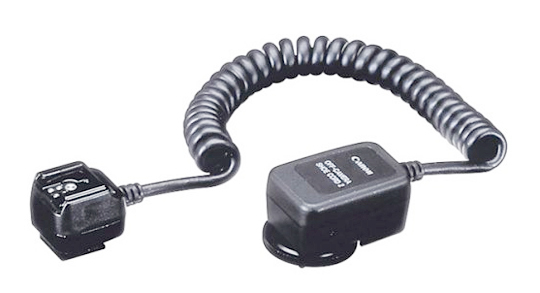 The coiled cord on both of these accessories is 2 ft. long and has just the right amount of spring built in. Other options to consider for using flash units off-camera would be the Canon Speedlite Transmitter ST-E2 and the SpeedliteTransmitter ST-E3-RT. Have a blast with your digital photography accessories!